The Battue - AT400 is now on the market—launching quartering, curling, looping, and rolling targets at angles unmatched by any other battue machine manufactured today. If gravity doesn’t tip the target out of the magazine, this machine will throw it! 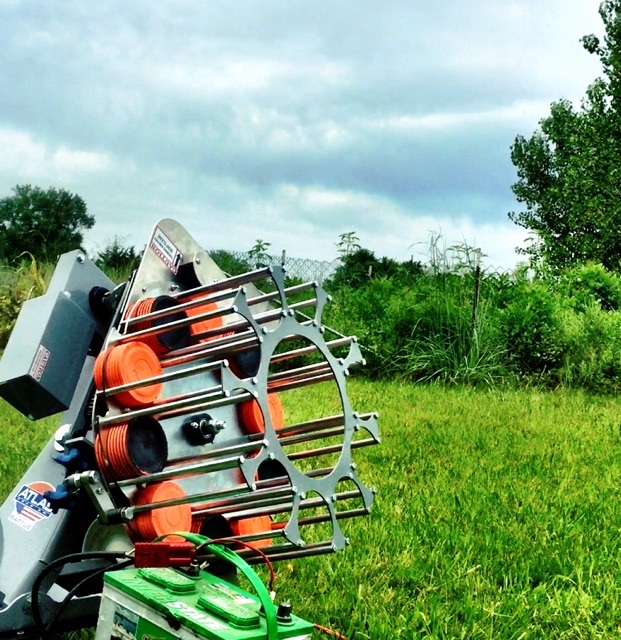 Thanks to this new unit, we've introduced shooters to the elusive Rabbue target: a rolling Battue that the shooters assume was launched from a rabbit thrower. 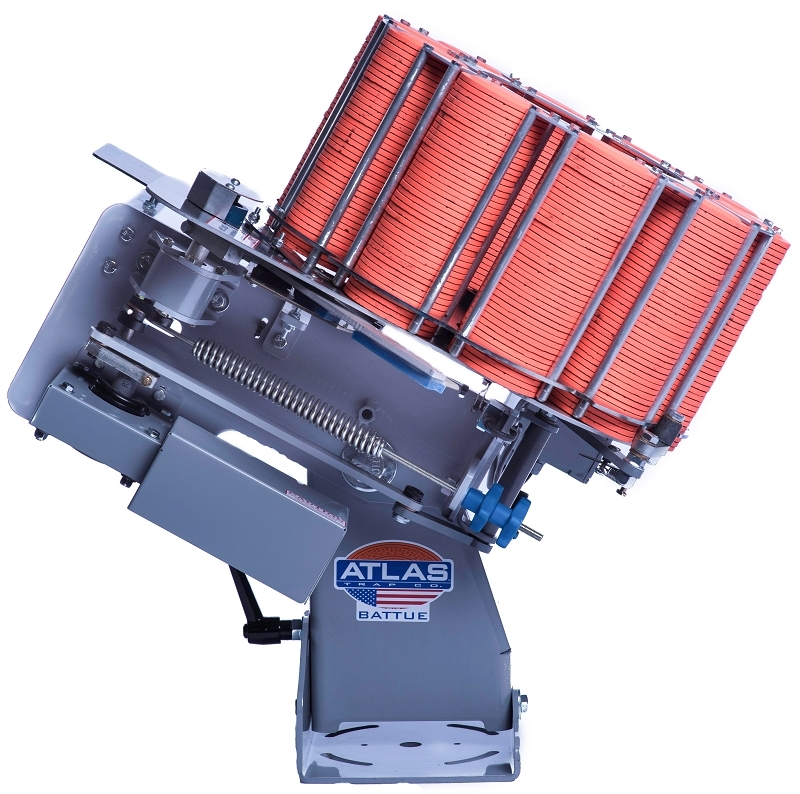 Well, this is not a problem for the Atlas Battue: just lean it back and on its side and you have one of the most unique presentations in sporting clays today. Upside down/Right side up – it doesn’t matter! The AT 400 Battue with throw either without any adjustment. To keep your shooters on their toes, you can alternate the magazine columns with upside down/right side up targets for orange and black target presentations. If you’re in need of adding a battue to your home or course, look no further than the new battue – AT400!